شریفی, حسن, ربیعی فرادنبه, سلمان, عنایتی, محمد حسین. (1396). تولید و مشخصه یابی پودر کامپوزیتی کبالت/بوراید وانادیوم به روش مکانوشیمیایی و اسیدشویی. علوم و فناوری کامپوزیت, 4(1), 75-82. حسن شریفی; سلمان ربیعی فرادنبه; محمد حسین عنایتی. "تولید و مشخصه یابی پودر کامپوزیتی کبالت/بوراید وانادیوم به روش مکانوشیمیایی و اسیدشویی". علوم و فناوری کامپوزیت, 4, 1, 1396, 75-82. شریفی, حسن, ربیعی فرادنبه, سلمان, عنایتی, محمد حسین. (1396). 'تولید و مشخصه یابی پودر کامپوزیتی کبالت/بوراید وانادیوم به روش مکانوشیمیایی و اسیدشویی', علوم و فناوری کامپوزیت, 4(1), pp. 75-82. شریفی, حسن, ربیعی فرادنبه, سلمان, عنایتی, محمد حسین. تولید و مشخصه یابی پودر کامپوزیتی کبالت/بوراید وانادیوم به روش مکانوشیمیایی و اسیدشویی. علوم و فناوری کامپوزیت, 1396; 4(1): 75-82. در این پژوهش تولید نانوپودر کامپوزیت کبالت- بوراید وانادیم به‌روش مکانوشیمیایی به‌صورت درجا از مواد اولیه اکسیدی مورد بررسی قرار گرفت. با توجه به دمای آدیاباتیک (K 4482T­da~) واکنش از نوع سنتز خودپیش‌رونده با دمای بالا یا MSR می‌باشد. مخلوط پودری مواد اولیه (Co3O4، V2O5، B2O3 وMg) مطابق واکنش استوکیومتری به‌ترتیب با نسبت (1:1:1:12) در یک آسیا سیاره‌ای پرانرژی تحت آتمسفر گاز آرگون با نسبت وزنی پودر به گلوله 1:20 در زمان‌های مختلف آسیا شدند. پودر کامپوزیتی تولید توسط پراش پرتو ایکس، میکروسکوپ الکترونی روبشی (SEM) و میکروسکوپ الکترونی عبوری (TEM) مورد بررسی قرار گرفت. پس از 15 دقیقه آسیاکاری احتراق در محفظه آسیا صورت گرفت و با توجه به الگوی پراش پرتو ایکس فازهای Co-VB-MgO-VO2-Mg3­(BO3)2 تولید شد. با افزایش زمان آسیاکاری مجدد، پس از احتراق به مدت زمان 30 دقیقه فاز ناخواسته Mg3­(BO3)2 تجزیه شده و باقی‌مانده اکسید وانادیم احیا شده و واکنش نهایی به‌طور کامل انجام شد. با توجه به نتایج XRD و آنالیز نقشه عنصری Xray-map فاز MgO که به‌عنوان محصول جانبی این واکنش بوده و توسط اسید کلریدریک با غلظت 9 درصد از پودر تولیدی به‌طور کامل حذف شد. با توجه تصویر TEM از پودر کامپوزیتی بعد از فرآیند اسیدشویی اندازه ذرات حدود 30-20 نانومتر به‌دست آمد. In this research, the production mechanism of VB-Co in situ nanocomposite powder from oxidized raw materials via mechanochemical method was studied. Regarding the adiabatic temperature of the chemical reaction, this reaction was occurred through self-progressive high-temperature synthesis or MSR. The mixed powder of raw materials (Co3O4, V2O5, B2O3 and Mg) were ground according to the stoichiometry reaction with the ratio (1:1:1:12) using a high-energy planetary ball mill in an argon atmosphere in different times where the weight ratio of powder to the bullet was 1:20. The produced composite powder was evaluated by the X-ray diffraction, scanning electron microscopy (SEM) and transmission electron microscopy (TEM). After grinding for 15 minutes, a burning occurred in the mill and regarding the X-ray diffraction, the phases Co-VB-MgO-VO2-Mg3­(BO3)2 were generated. Increasing the time of re-grinding and after burning for 30 minutes, the unwanted phase of Mg3­(BO3)2 was decomposed, the remaining vanadium oxide restored and the final reaction fully occurred. Regarding the results of XRD and the X-ray map analyses, MgO, which was the by-product of this reaction, was removed completely from the produced powder by hydrochloric acid at a concentration of 9. As the TEM image shows the composite powder after the pickling process, the size of particles is around 20- 30 nm. Suryanarayana, C. and Al-Aqeeli, N., “Mechanically Alloyed Nano Composites,” Progress in Materials Science, Vol. 58, pp. 383- 502, 2012. Xiong, Z. Shao, G. Shi, X. Duan, X. and Yan, L., “Ultrafine Hardmetals Prepared by WC–10 wt.%Co Composite Powder,” International Journal of Refractory Metals and Hard Materials, Vol. 26, No. 3, pp. 242-250, 2008. Konyashin, I. Hlawatschek, S. Ries, B. Lachmann, F. and Vukovic, M., “Cobalt Capping on WC–Co Hard Metals. Part II: A Technology for Fabrication of Co Coated Articles During Sintering,” International Journal of Refractory Metals and Hard Materials, Vol. 42, pp. 136-141, 2014. Mandel, K. Radajewski, M. and Kruger, L., “Strain-Rate Dependence of the Compressive Strength of WC–Co Hard Metals,” Materials Science and Engineering: A, Vol. 612, pp. 115-122, 2014. Hassanzadeh-Tabrizi, S.A. Davoodi, D. Beykzadeh, A.A. and Chami, A., “Fast Synthesis of VC and V2C Nanopowders by the Mechanochemical Combustion Method,” International Journal of Refractory Metals & Hard Materials, Vol. 51, pp. 1-5, 2015. Torabi, O. Ebrahimi-Kahrizsangi, R. Golabgir, M.H. Tajizadegan, H. and Jamshidi, A., “Reaction Chemistry in the Mg–B2O3–MoO3 System Reactive Mixtures,” International Journal of Refractory Metals & Hard Materials, No. 48, pp. 102-107, 2014. Ebrahimi-Kahrizsangi, R. Kalani-Mahabadi, M. and Torabi, O., “An Investigation on the Mechanochemical Behavior of the Ca–C–Cu2O–WO3 Quaternary System to Synthesize the Cu–WC Nanocomposite Powder,” International Journal of Refractory Metals and Hard Materials, Vol. 54, pp.75-81, 2016. Suryanarayana, C. and Ivanov, E., “Mechanochemical Synthesis of Nanocrystalline Metal Powders,” Advances in Powder Metallurgy, pp. 42-68, 2013. Balaz, P., “Mechanochemistry in Nanoscience and Minerals Engineering,” 1st ed. Germany: Springer Berlin Heidelberg; 2008. Bowden, F. and Yoffe, A., “Initiation and Growth of Explosion in Liquids and Solids,” Cambridge University Press, Cambridge, 1985. Thiessen, K.P., “On the Origin of Increased Activity in Mechanochemistry of Solids,” Journal De Chimie Physique, Vol. 83, No. 11-12, pp.717-724, 1986. Hu, H. Chen, Q. Yin, Z. Zhang, P. Zou, J. and Che, H., “Study on Kinetics of Thermal Decomposition of Mechanically Activated Pyrites,” Thermochimi. Acta., Vol. 389, pp.79-83, 2002. Nakayama, K. and Nevshupa, R.A., “Plasma Generation in a Gap around a Sliding Contact”, Journal of Physics D: Applied Physics, Vol. 35, pp. 53-56, 2002. Heegn, H., “On the Connection between Ultrafine Grinding and Mechanical Activation of Minerals,” Aufbereitungs-Technik, Vol. 30, pp. 635–642, 1989. Heinicke, G., “Recent Advances in Tribochemistry,” In: Proceedings of the International Symposium on Powder Technology, Kyoto, Vol. 81, pp. 354–364, 1981. 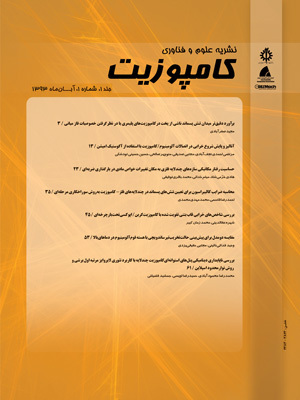 Hassanzadeh-Tabrizi, S.A. Davoodi, D. Beykzadeh, A.A. and Salahshour, S., “Fast Mechanochemical Combustion Synthesis of Nanostructured Vanadium Boride by a Magnesiothermic Reaction,” Ceramics Internatinal, Vol. 42, pp. 1812-1816, 2016. Hosseini, S.N. Karimzadeh, F. and Enayati, M.H., “Mechanochemical Synthesis of Al2O3/Co Nanocomposite by Aluminothermic Reaction,” Journal of Advanced Powder Technology, Vol. 23, pp. 334- 337, 2012. Davoodi, D. Hassanzadeh-Tabrizi, S.A., Emami, A.H. and Salahshour, S., “A Low Temperature Mechanochemical Synthesis of Nanostructured ZrC Powder by a Magnesiothermic Reaction,” Ceramics International, Vol. 41, No. 7, pp. 8397-8401, 2015. Whlliamson, G.K. and Hall, W.H., “X-Ray Broadening from Field Aluminium and Wolfram”, Acta Metallurgica, Vol. 1, pp. 22-31, 1953. Kubaschewski, O. Alcock, C.B. and Spencer, P.J., “Materials Thermochemistry,” Pergamon Press, Oxford, 1993. Xu, J. Zou, B. Zhao, S. Hui, Y. Huang, W. Zhou, X. Wang, Y. Cai, X. and Cao, X., “Fabrication and Properties of ZrC–ZrB2/Ni Cermet Coatings on a Magnesium Alloy by Atmospheric Plasma Spraying of SHS Powders,” Ceramics International, Vol. 40, No. 10, pp. 15537-15544, 2014. Takacs, L., "Self-Sustaining Reactions Induced by Ball Milling”, Progress Materials Science; Vol. 47, No. 4, pp. 355–414, 2002. Bilgi, E. Çamurlu, H.E. Akgün, B. Topkaya, Y.A. and Sevinc, N., “Formation of TiB2 by Volume Combustion and Mechanochemical Process,” Materials Research Bulletin; Vol. 43, No.4, pp. 873–881, 2007. Barıs Akgün H., Erdem Çamurlu Y.T. and Naci S., “Mechanochemical and Volume Combustion Synthesis of ZrB2,” International Journal of Refractory Metals and Hard Materials, Vol. 29, No. 5, pp. 601–607, 2011.